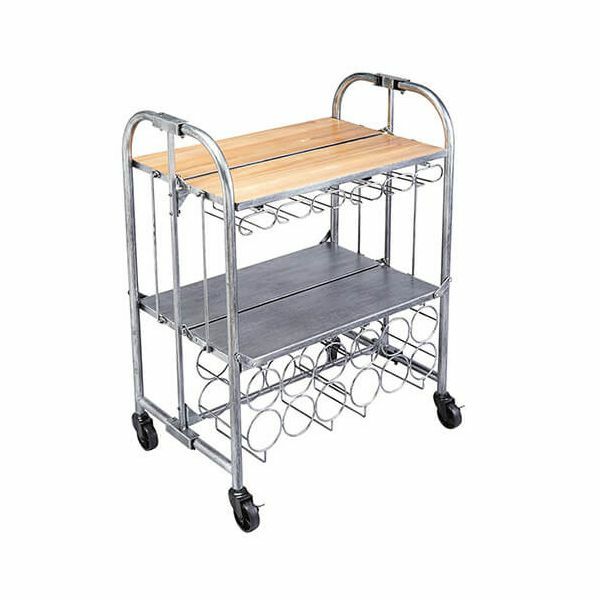 The Bar Craft Folding Bar Cart is made from durable carbon steel with a distressed vintage style with a acacia wooden top. The Bar Cart has storage for up to 12 bottles and features a detachable holder for fluted stemmed glasses. 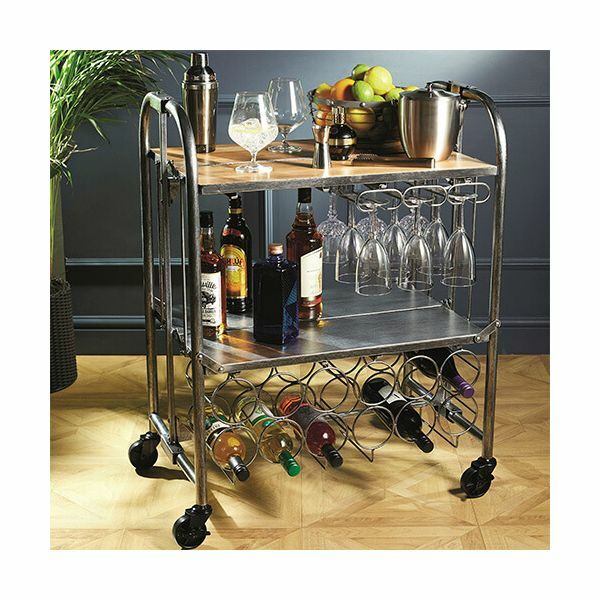 The Bar Cart is ideal for parties and entertaining, for serving freshly made cocktails and for topping up wine on the go. The storage space on the Bar Cart Trolley allows for ice buckets, cocktail shakers and garnishes for easy access. 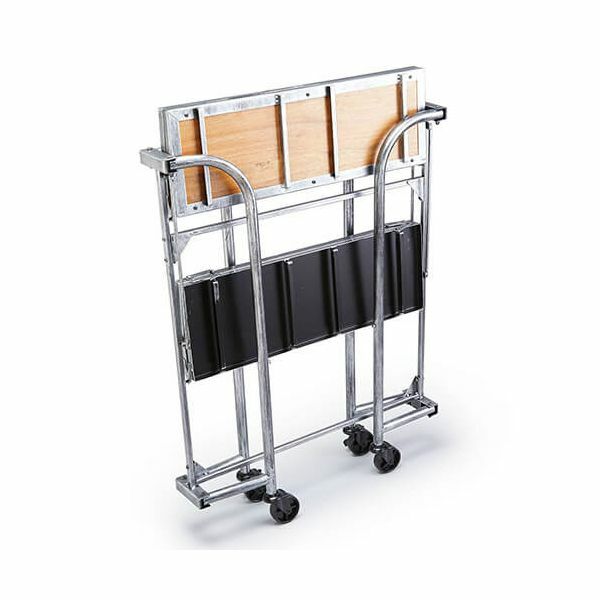 The Bar Cart Trolley folds away after use for space saving storage and is easy to access at all times.